Wow, this was such a fun and light-hearted drama to watch. The story was really simple and I feel this is perfect to watch on a weekend, as it's so feel-good and chessy. I couldn't help laughing-out-loud at many moments. The characters were so endearing amd funny, especially Yoon Tae-oh. I mean Ji Soo portrayed the character of Yoon Tae-oh so perfectly, I was totally smitten by him. I have watched only one other drama of his, Scarlet Heart, where I did not pay much attention to him, but in this drama, I absolutely loved his character and his acting. My only complaint is that I wanted more episodes,I mean, how could they end at just 8 episodes? But there has been reports that other 8 episodes are already filmed, so fingers crossed for that. 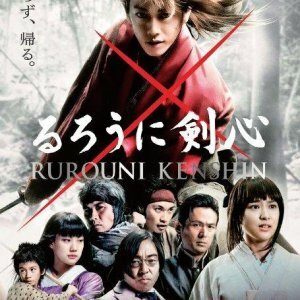 You can watch it on Netflix if you are in the mood of something light and mushy. As you might've noticed, even though I graded each category quite harshly, the overall score is high. When rating, I found myself confused as too why I liked this drama so much, apart from the cast. And I found out that just like love is unconditional, I love this drama just because. First off - the story. It was okay, I actually quite liked it. It had its ups and downs, some clichés such as all the friends coming to Tae Oh's house all at once. If I'm being honest, there wasn't much story to it - it was this typical, slice of life drama and without bigger plot twists. Everything just seemed so clear and obvious and they actually talked to each other. It was like watching a real life go by, just a little bit enhanced and nothing cringey. Lead characters just clicked very well with each other. As in real life everyone had their pros and cons and I could sympathize with all the characters. As for the acting - well there isn't really much to say. It was just brilliant. Ji Soo's acting is never a miss and I just cannot not love Jin Young, it's just not happening. Female cast was also well-done and as it was my first time watching Jung Chae Yeon in a bigger role I must say I was quite afraid of her acting at the beginning but it was unnecessary, she gained my respect. Choi Ri is also an actress I must keep a close eye on because her acting is so quirky and she is just adorable. Hong Jiyoon acting made me hate her but also wonder what is her character really like. She had such an ambiguous role I still can't seem to figure it out. It's just like in life - nothing is really black or white. As for the music department it wasn't really memorable so I can't say much about it. Though I must say that the way Choi Hoon sang on his musicals was nearly comical. I think it was the first time I've ever seen such terrible lip-sync. Overall this drama wasn't necessarily the best in the world but it does leave one entertained and in love. All I felt during my marathon was overflowing fluffiness and cuteness but also sincerity and real-life-like characters. I rated re-watch value 6.5 only because I don't really watch any dramas twice but also because I know there will be a lot of dramas like this to watch. It is not unique, contrary, it's very simple, but sometimes simple is all we need. I've watched many dramas but this is the first I felt the need to write a review for because it's rare of me to watch one while it's just so new and there isn't a lot of other reviews up yet. This drama was very light hearted from the beginning and included a lot of quick witted quips and humor a long the way to keep things refreshing when they began to get too serious. Since there are only 8 episodes this drama reveals a lot early, so it can be agonizing for the viewer to see what's happening while the protagonist is still figuring things out. 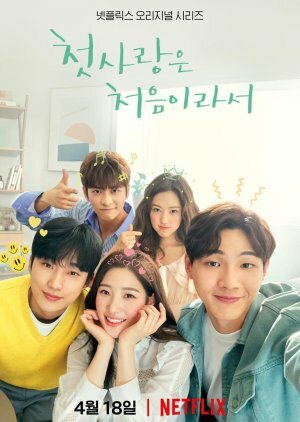 I would compare this drama to Age of Youth (Netflix Title: Hello, My Twenties) in the sense that it's all university aged people living together as they figure out their lives and go through struggles. I also think the two are similar with the setup in the writing not quite clearing everything up which is paving the way for a future season. This hopefully is the case and something in the future will be released as there are rumors that they filmed the drama as a typical 16 episode format but split it in half as 8 and 8. I think this is a good drama to watch to switch things up from all of the crime, medical, or business dramas full of the corrupt people in a position of power. The story is really simple and straight forward and you can easily knock it out in a weekend. 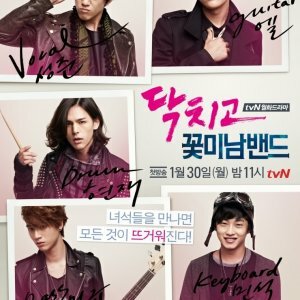 This is the first kdrama I've watched where I actually like the main characters with the side characters! 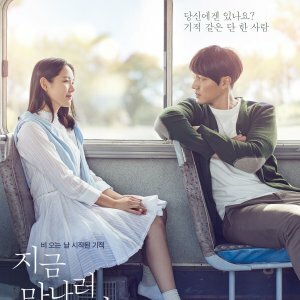 Overall a great k-drama! It was impossible to stop watching. I finished it in less than 2 days! I wish the relationships wouldn't have escalated so quickly but it was still good in the end! I couldn't help but smile at all the cute coulpley moments! So cute!! I can't wait for season two! There's so many questions that aren't answered and i need to know these answers! I hope it comes out soon cause I don't know if I can wait much longer even though I just finished it about 10 minutes ago! If you're looking for some heavy drama with the cliche twists and roller coaster story this might not be what you're looking for. This drama is fun, light hearted, heartwarming and realistic. It was about first loves and friendships. It gives you warmth as if you're one of their circle and one of the housemates. It has the kind of friendship, kind of fun and kind of first love you've ever want. It gives you the butterflies and sweet smiles your first love felt. Storywise, there's not much content to it. More like it was the reality of youth. Some of us were happy go lucky, some of us were absorbed in studying, some of us are chasing dreams and some of us are busy making the ends meet. Though most of us ends up falling in love. Every episode was promising and makes me want more. It is the type of drama where you wouldn't mind to see a scene where they are just eating or simply having a trip or just conversing. It is the type where you wouldn't mind having a lot of episodes just to see how they are doing. I still can't conclude anything because I've read somewhere that there will be a 2nd season. The only thing I wouldn't like (if this happens) is that this was a fun lighthearted drama, I hope there will be no broken hearts in the end. I'm quite smitten by both of the guy leads so I'm hoping they both have a happy ending. It’s not a horrible show but I wasn’t really interested in it as much as I wanted it to be, especially since I got the show spoiled for me which I appreciated so I didn’t go through watching the whole thing and wondering if I’m wasting my time or not, right off the bat I didn’t kinda like the kiddish part of it and how immature they were and it tried to be a little more serious, I’m also bummed Ji Soo again; does not get the girl. Lmao. I dont know what to say about it, I guess I don’t really necessary like the female best friend he liked either but don’t get me wrong, it wasn’t a bad show, I just wasn’t in for shipping the couple and getting crushed. Lol. Maybe one day I’ll try again, but for now, I’m a little bummed because it was not what I expected.